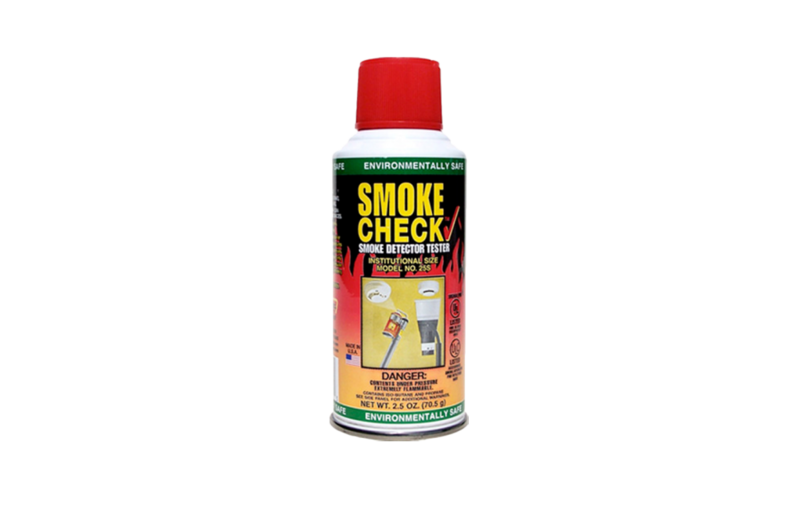 SmokeCheck® tests both photoelectric and ionization smoke detectors to ensure circuitry, alarm and power is functioning and they are actively sampling the air for any hint of a fire. This smoke detector tester is 100% EPA compliant and environmentally friendly. Designed, and suitable for testing smoke detector function per NFPA 72 Chapter 14 and when used as directed, our formula simulates the entire range of fire conditions – giving you confidence to know your fire alarm system will respond promptly to all fire conditions.